When I reported yesterday about Diesel eBooks filing an antitrust lawsuit against Apple and 5 publishers, I described the ebookstore as a thriving retailer. That may have been an error on my part. If this notice is a surprise, you're not alone. This is the very first I had heard that Diesel eBooks was shutting down. There is no notice on their homepage and they haven't sent out emails with the news. I have an account with Diesel eBooks and I have not received any notification. Also, no one has forwarded any notice to me, nor has this been mentioned on MobileRead. 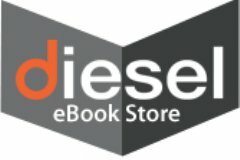 Update: I just got the notice, Diesel eBooks is shutting down. I am still waiting for a response from Diesel eBooks, and in the absence of confirmation or denial I plan to cling to the hope that this is either an error or someone's idea of a 1 April joke. But just in case this is for real, I suggest that you download and backup your ebook purchases. It's better to be safe than sorry, I say, and given how little notice BooksOnBoard offered before they went under last year I think caution is in order. That site was open one day and closed the next, and if I hadn't already heard that BoB was having trouble paying publishers I would have been caught as flatfooted as BoB's customers. Last August I heard similar reports about Diesel eBooks, but I wrote them off because I could not verify any of the details. Also, one publisher named in the rumor denied its factual accuracy, making it nothing more than gossip. Was that report an early sign of problems or simply a coincidence? It's too early to say, so stay tuned and I will post an update once I get more information. Update: I have not received a response, but several readers have informed me that they got an email from Diesel eBooks with a similar message. Just received an email from Diesel with the closure message. The shop closure appears to be for real. I still have not gotten a confirmation. Me either. Pity, I liked shopping at Diesel. I never received a message and so the book I bought in March is lost to me. No warnings, nothing. When I wanted to download it in April I couldn’t get at it. That’s 11,90 euro’s down the drain. Whatever the reason they closed down, this is a very shabby way to treat customers. No wonder this firm didn’t make it. And they owe me money now. Marjan, I don’t know if it’d help, but try contacting [email protected] to ask for a refund. He appears to be planning a bookstore relaunch under a new name (possibly “Lavoho”) at some point, but I think he ought to take care of the mess left behind with Diesel first. If you do write him, it’d be great if you’d share the outcome here. There’s no comparable message on Ebook Eros, Diesel’s erotica sister site, which begs the question whether this is just the Diesel site closing and not Diesel ebooks. The wording of the statement suggest more than just desperate optimism about a return soon in a new guise. Here’s hoping. Here in the UK Tesco Blinkbox Books has gone live with almost no fanfare, so doing things quietly seems in vogue right now. I just tried to download a new copy of all of my Diesel eBooks. This wasn’t absolutely necessary as I have them all saved on my hard drive and in various backups. The publisher has ceased publication of this title without giving us notification. Please let us know about this here and accept our apologies as we appreciate and share your frustration. Your card will be credited. Please understand we have little control in this type of situation. Same thing happened to me, Gary. More than half my Diesel books (all SF) can’t be downloaded. On a side-note, isn’t that message (from Diesel, not you) a tad passive-aggressive? Whoops! I will have to take some links off my website. I never saw much in the way of sales from Diesel, but still, it’s a shame to see them go under. I’m pretty disappointed with Diesel here. I’ve bought a number of books from them and didn’t receive any e-mail about the closure. I liked them for the most part though, and shopped there periodically to support diversity in the ebook retail market. I’ll be sad to see another store close down. Incidentally, I’m the one who reported the ‘rumor’ back in August. I don’t know about now, but at least at the time it was possible on Diesel to perform a search for all titles from a particular publisher. Cross-reference that with a Google search on site:diesel-ebooks.com “samhain publishing” (or “ellora’s cave”), and you would have found links to scores of book pages which used to be live and no longer were. You could have asked me for corroborating details if you weren’t sure how to verify the catalog changes yourself. Unfortunately, none of that could answer the question of why either publisher’s books were disappearing, so I reached out to you in case you might have heard something indicating problems at Diesel. Thank you for checking with the publishers. Looks like you hit the same impasse my authors did, and I suspect I know which publisher explicitly denied there was any issue. One of those two pubs is on my future self-implosion watch list after some worrying recent developments. A slight digression but with the dissolution of Diesel and, not too long ago, Sony ebookstores, I’m wondering if this is going to have a subsidiary effect on distributors like Smashwords as well. I just received the same mail telling me of their closure. I actually have a balance on a gift certificate which I purchased from them a few months back. Therefore I thought that I will quickly purchase some books and use up the balance before 31 March 2014. Lo and Behold – I cannot even purchase anything! I have just written to them asking whether they will refund me my balance. Sony Ebook Store is the best – lots of notice and that your account is transferred to KOBO. At least your gift certificates and books are intact. Isn’t it strange how they’re leaving it to practically the last minute? Cash flow difficulties. Sounds like their content server was cut off. Seriously, I can’t believe this!!! THIS IS NOT HAPPENING!